Seventeen-year-old Raine Cooper has enough on her plate dealing with her father s disappearance, her mother s erratic behavior and the possibility of her boyfriend relocating. The last thing she needs is Torin St. James a mysterious new neighbor with a wicked smile and uncanny way of reading her. Raine is drawn to Torin s dark sexiness against her better judgment, until he saves her life with weird marks and she realizes he is different. But by healing her, Torin changes something inside Raine. Now she can t stop thinking about him. Half the time, she s not sure whether to fall into his arms or run. Scared, she sets out to find out what Torin is. But the closer she gets to the truth the more she uncovers something sinister about him. What Torin is goes back to an ancient mythology and Raine is somehow part of it. Not only is she and her friends in danger, she must choose a side, but the wrong choice will cost Raine her life. I have been wanting to read Ednah Walters work for some time now. The synopsis of each were captivating, so when I got the chance to be involved in the tour for Runes, I jumped on. Ednah did not disappoint in the least. I loved Runes, it was thrilling and full of drama with each turn of the page. Once I started in on this book I couldnt stop reading, I had to know what was coming with each twist and turn. As if life wasn't hard enough on Raine when her father went missing, but now all kinds of weird stuff has been happening since the hottie next door moved in. Now her world has been turned upside down and there are things that exist that should now, there are those who have abilities to do things that shouldn't be possible. Now with Torin around, Raine can't stop thinking about him even though she has a boyfriend. Torin seems to show up just in time to rescue Raine when she needs it, however, he wont explain who he is or what he knows. That would be going against the rules and he has broken too many as it is when it comes to Raine. This is one book that is a must read, I would tell more of all the excitement and let you in on all the secrets and lies but then that wouldn't be any fun. So you will have to read it for yourself or miss out on what is to be the next hottest series! Ednah is the author of The Guardian Legacy series, a YA fantasy series about children of the fallen angels, who fight demons and protect mankind. AWAKENED, the prequel was released in September 2010 with rave reviews. BETRAYED, book one in the series was released by her new publisher Spencer Hill Press in June 2012 and HUNTED, the third installment, will be released April 2013. She s working on the next book in the series, FORGOTTEN. 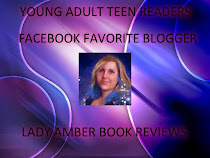 Ednah also writes New Adult paranormal romance. 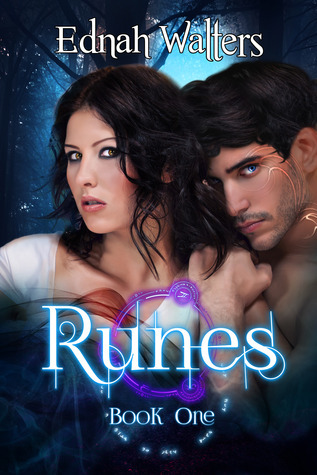 RUNES is the first book in her new series. She is presently working on book 2, IMMORTALS. Under the pseudonym E. B. Walters, Ednah writes contemporary romance. SLOW BURN, the first contemporary romance with suspense, was released in April 2011. It is the first book in the Fitzgerald family series. Since then she has published four more books in this series. She's presently working on book six. 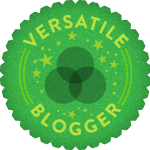 You can visit her on her websites, Facebook, twitter, ya-twitter, Google-plus, and RomanceBlog, YAblog. Hmmm...Torin shows up right in the nick of time. That spells intrigue and mystery. This sounds like a wonderful tale of love and struggle. Thanks for the review. I can't take my eyes of the cover. Beautiful! Itching to read this book!